Last Friday, CC and I drove to Detroit to spend the weekend at Fort Wayne. It’s an actual military fort that dates back to 1845. It sits on the banks of the Detroit River near the intersection of Livernois and West Jefferson. One may still go into the old fort and peek through the narrow gun slots in the fort’s thick outer walls. 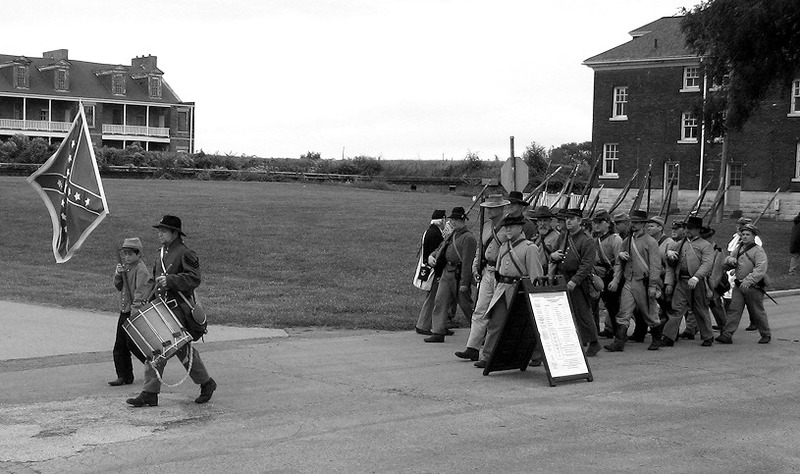 The fort and surrounding area remained an active military installation right through the Vietnam War, so there are buildings from a wide span of American history, including a jail that was built during the Spanish-American War and housing built during both world wars. 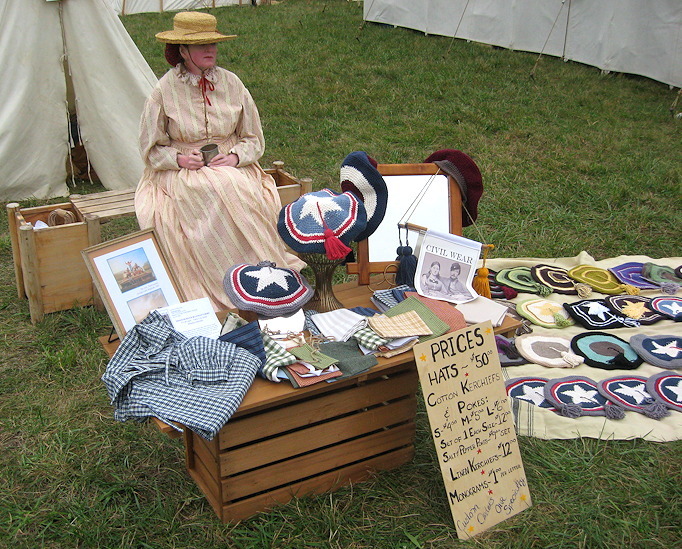 The occasion was Civil War Days at Fort Wayne, and we were there as vendors, though the term used among Civil War reenactors is “sutler” rather than “vendor”. It’s a historic term that refers to the merchants who would follow armies around in the 19th century and sell them all manner of supplies. 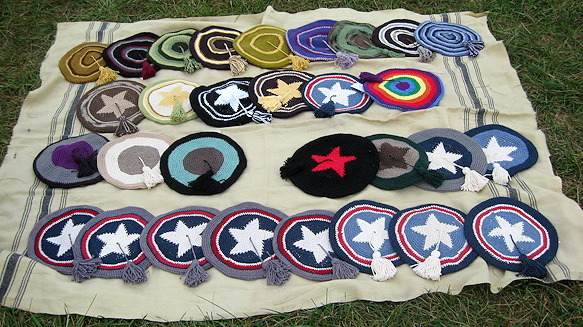 CC was there to sell her historically accurate caps, shirts, kerchiefs, and pokes (a poke is a small cloth bag with a drawstring closure). The following photos should give you a flavor of our fun and fascinating weekend. This is CC crocheting outside of her tent. 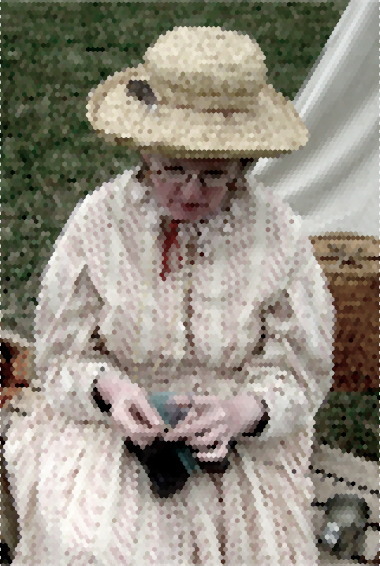 The shot reminded me of an Impressionist painting, so I’ve rendered it to look (somewhat) like one. 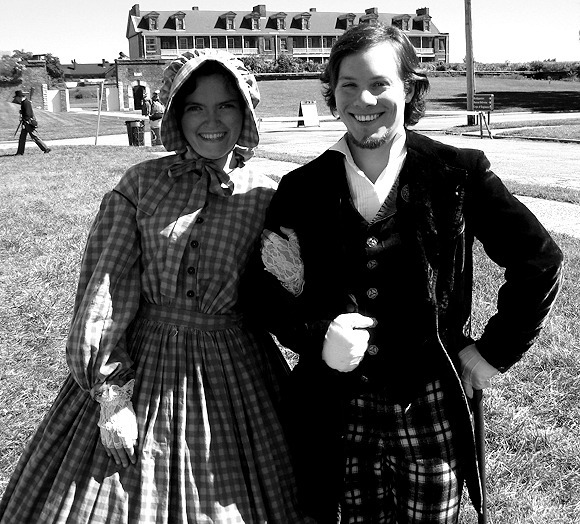 A couple of patrons who were into it enough to come in period dress. That’s the three-story barracks building in the old fort behind them. CC with a most enjoyable patron. 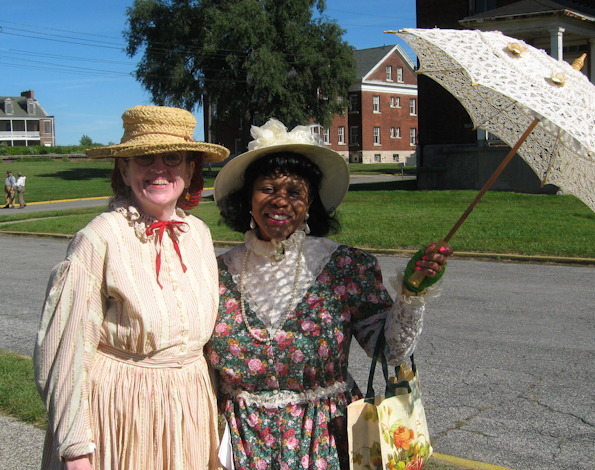 She was there in the character of an actual historical figure – a freed slave who became well educated and later went to work as a spy for the North by posing as a kitchen worker and finding employment in Jefferson Davis’ household! This woman was a high-energy delight – and was the only person with the sense to have brought a parasol on that sunny day. CC in front of her tent, open for business. In case you’re wondering, she made the dress she’s wearing here, as well as all of the wares on display. A proper view of CC’s caps. The ones down front are designed in Union or Confederate colors, while the other ones are generally less overtly militaristic. I talked her into making the rainbow one and I still think somebody’s going to see it and will have to have it. A Confederate company marching by, in time with their drummers. CC would typically run to the edge of the road and wave her kerchief at such groups as they passed. Occasionally, one of these stoic lads would subtly tip his cap to her. True to her non-partisan, pacifistic spirit, CC would wave her kerchief at both Confederate and Union companies. 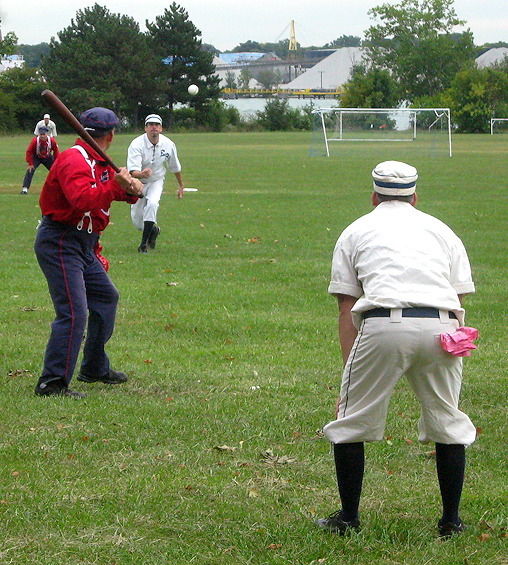 On Sunday, two teams of 19th century baseball reenactors played an actual game according to bygone rules, with bygone dress and equipment. 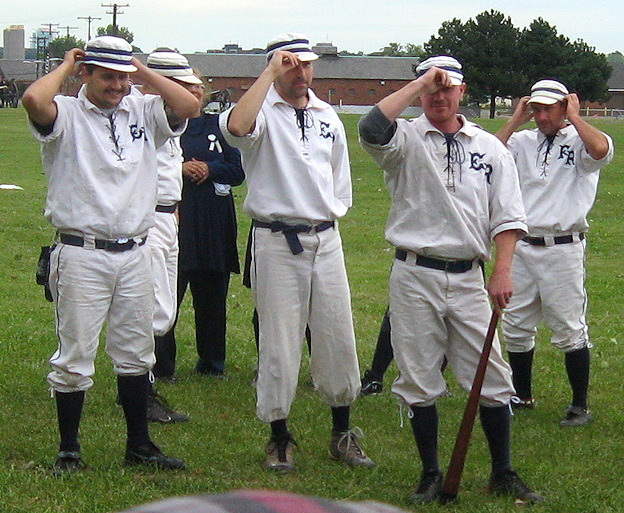 These fellows are members of the Detroit Early Riser Base Ball Club. There actually was a ball club going by that name in the years leading up to the Civil War. Their present-day namesakes play games throughout the warmer months against other old-time teams from other Michigan cities. Their opponents in red on this day were from Flint, though I did not catch the team’s nickname. Just pretend you don’t see the soccer nets in the distance. There is also a ladies’ vintage baseball team called the Detroit River Belles, and several of them participated in the game for a couple of innings. The pitch shown here was smacked far into left field for a double. Just pretend you don’t see the Ambassador Bridge to Canada at the far right of the picture. 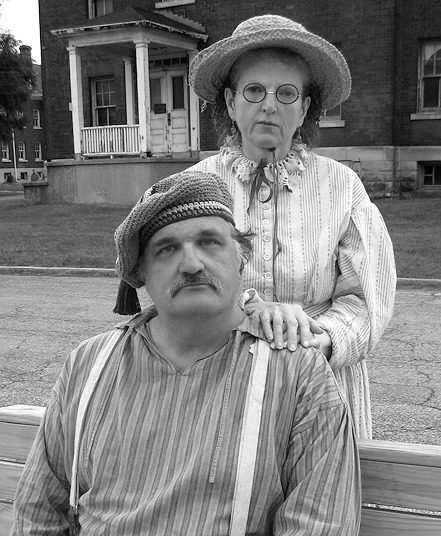 Ma & Pa Reenactor posing for an archival photo. In case you didn’t know, the reason so few people are smiling in 19th century photos is that the cameras of the day required lengthy time exposures, so one had to assume a relaxed expression that one could hold without moving. Also note that CC made the cap and shirt I’m wearing. It was a fun and fascinating weekend. We met a lot of interesting folks and saw some memorable sights. It was my first time attending such an event, but it will surely not be my last time!